Built at the end of the 16th century on a plan in the form of a grill, the instrument of the martyrdom of St Lawrence, the Escurial Monastery stands in an exceptionally beautiful site in Castile. Its austere architecture, a break with previous styles, had a considerable influence on Spanish architecture for more than half a century. It was the retreat of a mystic king and became, in the last years of Philip II's reign, the centre of the greatest political power of the time. 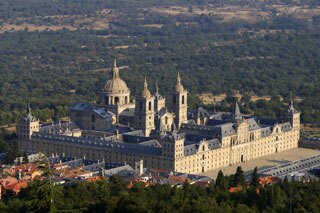 This article uses material from UNESCO World Heritage List article "El Escorial", which is released under the Creative Commons Attribution-Share-Alike 3.0 IGO License.